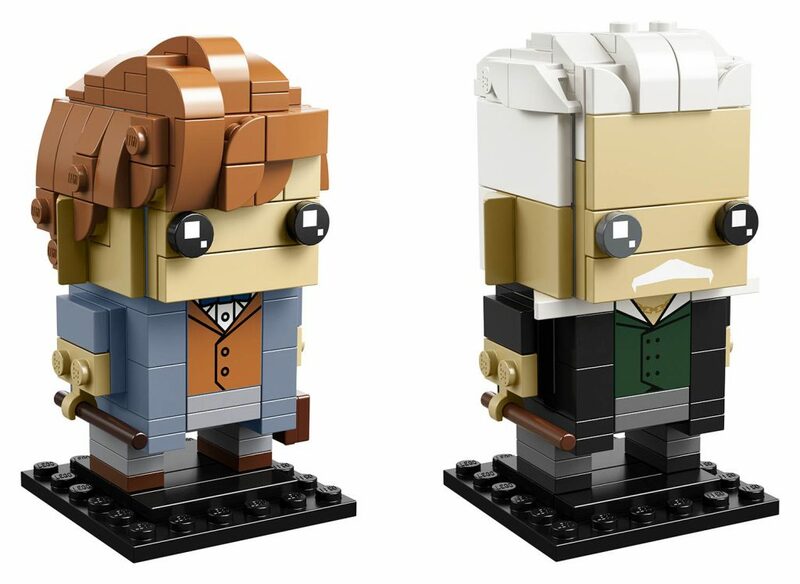 LEGO just unveiled two new characters to add on to the BrickHeadz family from the Fantastic Beasts franchise. Newt Scamander and Gellert Grindelwald, numbered 76 and 77 respectively, are featured in a two-pack set of 247 pieces and retail price of $19.99 USD. These are the first two characters to be featured from the Fantastic Beasts theme and will be released for sale on October 1. 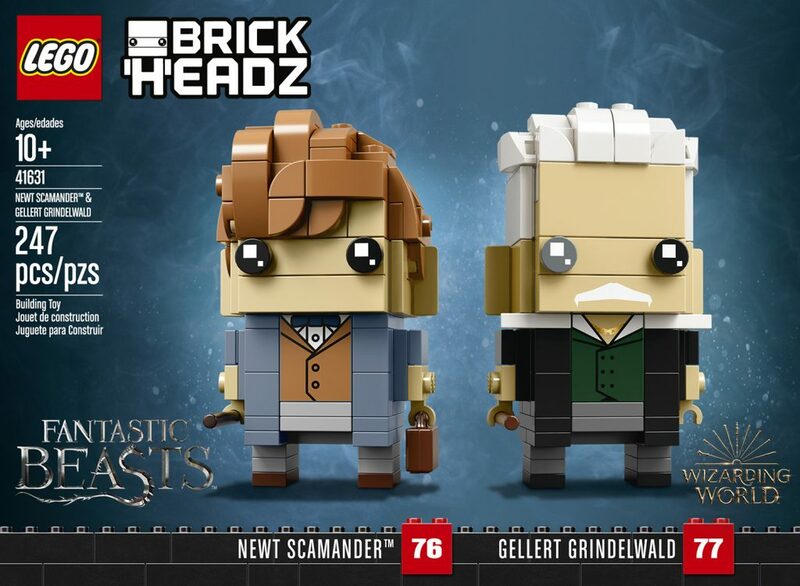 This LEGO® BrickHeadz™ 41631 Newt Scamander™ & Gellert Grindelwald play set is fun to build using colorful LEGO bricks that recreate all the iconic details from the Fantastic Beasts™ series, including Newt’s waistcoat, coat and detachable case, plus Grindelwald’s different colored eyes. Both come with detachable wands and stand on a buildable collector’s baseplate for easy display in your home, office or anywhere you like. Have fun growing your LEGO® BrickHeadz™ collection with other characters from your favorite movies, TV series, games and comics. Fantastic Beasts™ toys measure over 2” (7cm) tall without baseplate. Baseplate measures over 1” (4cm) square.